To-the-studs-remodel completed August 2017 and new high end hot tub installed January 2018. 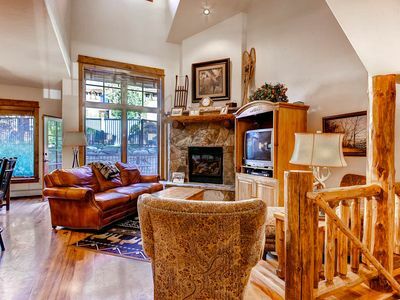 This 1,200 sq ft modern rustic mountain retreat has everything you're looking for in a mountain vacation. 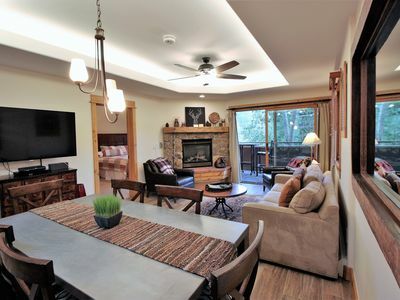 Everything is new - furniture, kitchen, appliances, bathrooms, trim, doors, fireplace, paint... no surface has been left untouched. 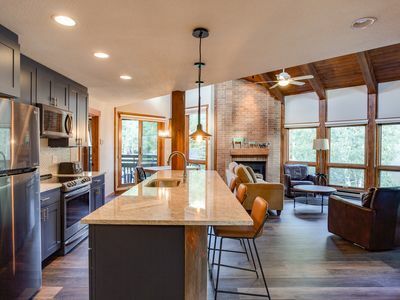 When you step into the house, you're greeted with rich, dark woods, knotty alder cabinets, chiseled edge granite... you'll actually feel like you're in the mountains rather than a sterile mountain condo like so many of the others online. 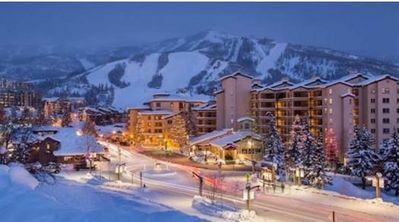 You're less than 50 yards from the free ski/town shuttle, so you're a 10 minute ride from door to slopes, and ~25 minute ride to downtown - perfect on those nights where you want to "warm up" in one of the many great bars downtown and not have to worry about driving home (and the shuttle goes until 3am in the winter!). 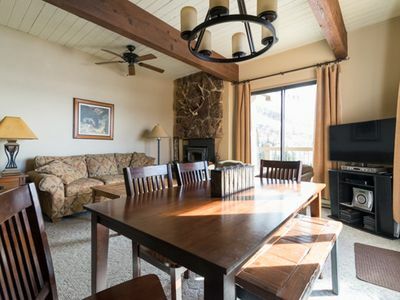 Don't underestimate this value-add, and don't settle for a dumpy condo so you can be "walking distance" - unless you're less than 200' from the slopes, you're better off taking the free shuttle than trudging through the snow. In the winter it runs every 20 minutes so you'll never have to wait long. When the weather is good (which it is usually, it's Colorado!) 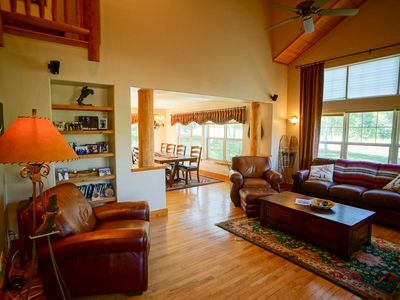 enjoy sitting on one of the two decks furnished with comfy Adirondack chairs. 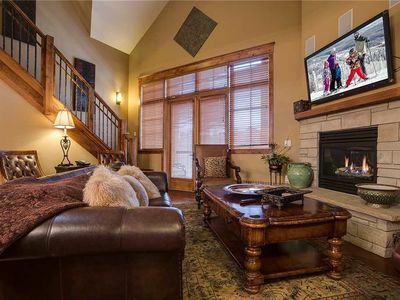 If the snow is flying, cuddle up in front the gas fireplace... either way you'll be relaxed! If you get wet - there's a washer / dryer in the basement to take care of your gear. 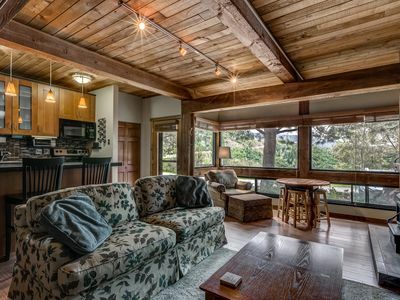 Other amenities include a gas fireplace, heated bathroom floors, a spacious kitchen with everything you need (even a sous vide machine! 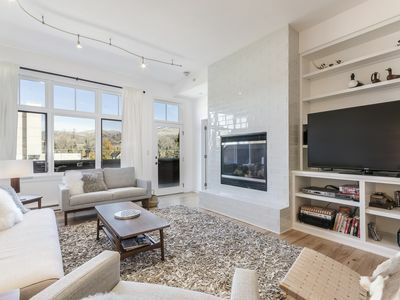 ), espresso machine, tea kettle, tea pot, pots & pans, Italian leather couch, 50" TV, cozy blankets, local artwork, Google Home for music and home automation (Hey Google, turn off all of the lights! ), books & magazines, games, and more! 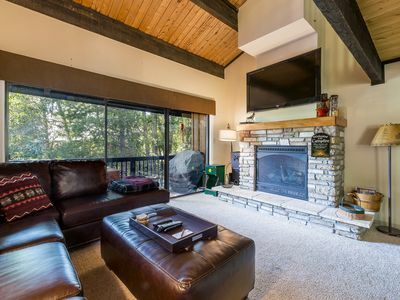 This is my house, not just a "rental" - so it's fully furnished with everything you would expect from someone's house. 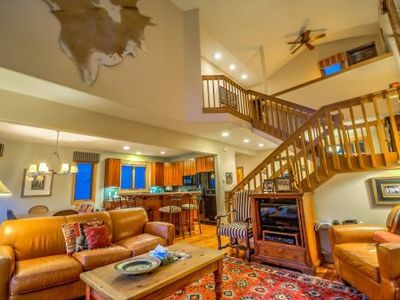 Best part - this is a house, not a condo - no awkward stairs, hallways, or elevators - it's a place all to yourself! 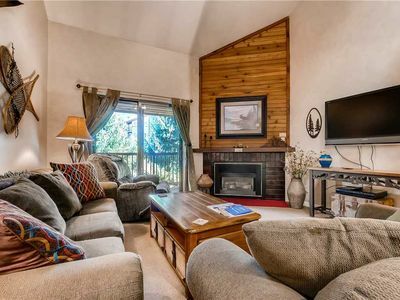 Please note that this is a half duplex, so there is a chance you share a driveway with one other neighbor, but as of now the other side is unoccupied due to it being listed for sale. 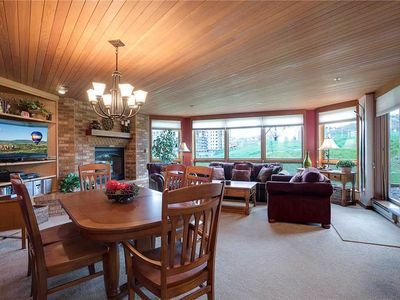 Their entrance is on the other side of the house, with barriers between porches, so this is your own place for. 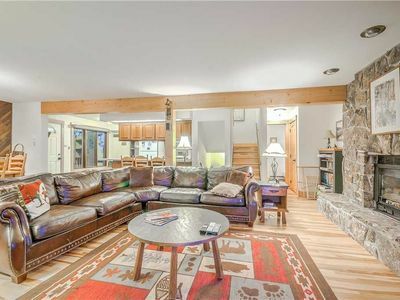 I look forward to welcoming you into my home! 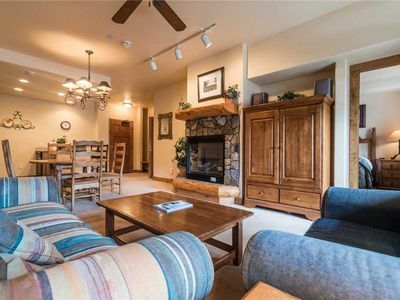 For sleeping arrangements - I have a king bed in the master, a queen bed in the guest room, and a very spacious couch for the 5th person, should you have a 5th wheel / child. There are extra pillows & blankets as needed. 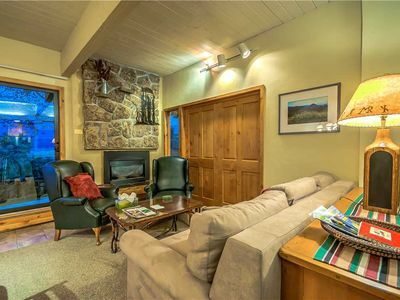 W3433 by Mountain Resorts ~ Walk to Mtn Village ~ Pool & Hot Tubs OnSite! 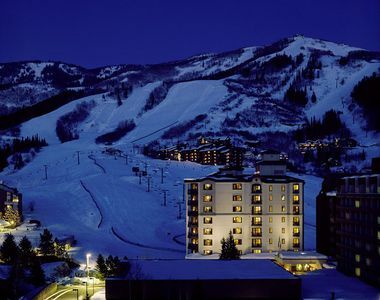 Fantastic Summer Rates - Great Steamboat Condo With Great Amenities! Fantastic Summer Rates - Luxury and Elegant, Will Take Your Breath Away! 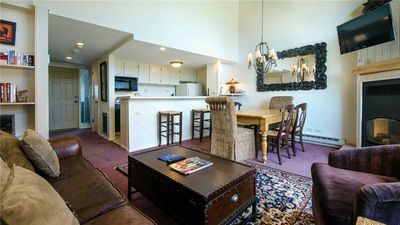 Great Condo w/Balcony! Ideal For Family & Friends! 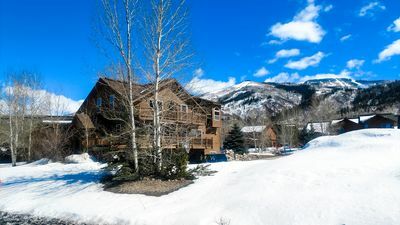 Discounted Lift Tickets - Spacious Private Vacation Home With Hot Tub! 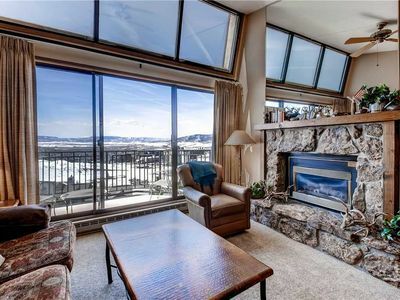 Top Floor View of the Mountain & Valley from the Comfort of the Condo! 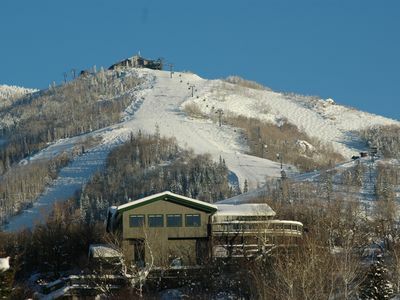 Late Fall in Steamboat Springs!